Does your algebra instructor cover the subject so quickly that you find it difficult, if not impossible, to keep up? Are your math skills weak? Is your algebra homework so difficult that you sometimes only finish a part of it—or worst, skip it altogether? Then you probably need to find an algebra tutor. We can provide you with effective help in finding the best tutors available. Simply search for your algebra math tutor from this page or contact us to help you find the right match. Without fundumental knowledge it's difficult to excel in academic subjects unless you understand rigorous and basic concepts of Algebra. Algebra is one of these subjects that you can either end up hating or end up loving. Do not assume that knowing algebra automatically means that you will know Calculus or any other math subjects, however it makes it much easier to learn other subjects once you do know basic concepts of Algebra. Algebra is offered in business schools, colleges, training centers and universities. It's offered there for a reason, that reason is simply because majority of our daily lives can be expressed in Algebra. Science is built on Algebra, knowing how to be good in algebra is probably a good idea especially if you want to succeed academically. Being able to do well on standarized tests, as well as on school's homework, mid-term and final exam is another reason why it's a good idea to learn and study algebra. In school there is all sorts of algebra courses being offered, such as Algebra 1, Algebra 2, AP Algebra, Honors Algebra, Basic Math, Advanced Algebra, Linear Algebra etc.. etc.. etc.. What you must extract from Algebra is the knowledge that can help you convert real life patterns into mathematical expressions in such a way that it all makes sense in real world. Solving linear equations, quadratic formulas, calculating square roots and cube roots is only part of the Algebra, other parts require analytical level thinking, and advanced layers of numerical understanding, with the high level of flexibility and technical expertise for being able to manuver with data in a concrete, cocise and meaningful way. Now that you understand the reasoning as to why studying Algebra is a good idea, here is some services that you may want to consider getting from our company. WHAT IS STAMFORD TUTORING ALL ABOUT? Tutoring Services, LLC offers high-quality online and home tutoring math services for students in Stamford CT and nearby areas! We’ll help parents find and get matched with the algebra tutor in Stamford, CT area for your son or daughter. We can connect students with private math instructors who are qualified to teach Algebra I and II, Honors Algebra, and pre-algebra. Whether you’re a college student, a high school student, a middle school student, or someone who’s preparing for the PSAT, the SAT, the GRE, ACCUPLACER, ASVAB, GED, SSAT, ISEE, the Praxis 1, the ACT or any other certification or entrance exams, we can help you get matched with an algebra tutor in Stamford CT. 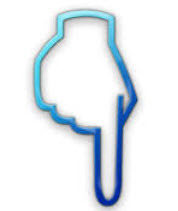 Simply call us from the top right corner to speak with an agent, or contact us from the bottom right corner chat icon. To find an algebra tutor in Stamford, CT, contact Tutoring Services, LLC a tutoring agency that specializes in helping parents/guardians find affordable and reliable algebra math tutors. No matter what algebra class you’re in—pre-algebra, Algebra I, Honors Algebra, or Algebra II—Tutoring Services, LLC can help you find an Reliable Mathematics Algebra Expert in Fairfield County CT.
WHY HIRE Algebra Math TUTOR? With the help of an algebra private math tutor, you’ll get hands-on one-on-one teaching that will make algebra concepts and skills much easier to understand and learn. Your classroom math instructor probably teaches at the pace that’s right for most of the class, but your private algebra math instructor will teach at a pace that will be most appropriate for you. If you need assistance in grasping basic math concepts, your tutor can provide the most effective help directly in your home in Stamford CT. If you need to review classroom-taught concepts, tutors are helpful in helping you understand them better. And if it’s homework you worry about, you can be satisfied with the homework help an algebra tutor can provide. 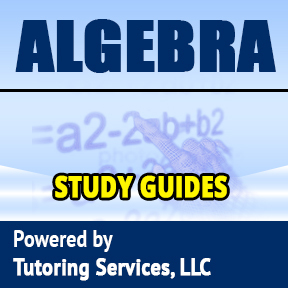 Meet Algebra Tutor Face to Face before they show up at your home in Stamford CT! Saw the tutor you like from algebra tutor profiles? Not sure if they are the right fit? Why not meet with the tutor for 15 mins FREE before he/she shows up at your home to get the best level of match comfort discuss final pricing and availability! We provide that option as well, to see why pre-screening your algebra math tutors before they show up at your home is a good idea click here. (view Reliable student leads section once you navigate to that page) Can you think of any other company that provides that option? Other local tutoring companies simply can't offer that option why? Well simply because they only specialize in local home tutoring, while we specialize in both local and online algebra math home tutoring matchmaking. Plus the cool part about it all you can work out your match with one company no need to hop around different companies to help you find local tutor another company helping you find online. We can help you get matched with both types! On the budget? Need Algebra Math tutor, but fail to find a good one locally? Or perhaps you need additional supplementary math test prep with the help of an online algebra tutor? Our company specializes in local algebra math home tutoring matchmaking and online tutor matchmaking. Online algebra mathematics tutoring for Stamford CT parents on the budget who can not afford local algebra home instructor are a great way to get their sons and daughters on track with math studies. To find out more about our online mathematics and home algebra tutoring options and information parents click this image link below. We provide online math tutoring for Fairfield and Westchester County residents. We have the best online Algebra math tools for more effective Algebra Learning Request a demo today! Contact Tutoring Services, LLC by phone number on top right corner to help us match make you with online algebra math tutor today! Creator of this Whiteboard Solution is DBA Binary Fusion Division of Tutoring Services, LLC specializing in whiteboard development and IT consulting for colleges, universities and small and medium businesses around the globe! WHAT Math Tutoring Services, LLC offer to Stamford CT Parents who have sons or daughters needing Algebra help? Hybrid Method of Learning inter combining Local Traditional Algebra Math Tutor + Online Algebra Math Tutor + Recommended Self-Guided materials. Algebra Books directly purchasable from College Students or online at cheapest online bookstore price. Algebra Math CLEP test prep for college level students. Or for parents on the budget who do not want Tutoring Services, LLC agency's high-quality algebra tutor matchmaking expertise, independent algebra math tutors who may charge less, but riskier to work with than through an agency. What can Algebra Math instructors do for Stamford CT Fairfield County students? While reviewing algebra homework with your tutor, you’ll get remediation, concept review, and skill practice. If you are having a hard time with a problem, your algebra tutor servicing Stamford, CT, will show you the best ways to finding a solution. Math homework help is about learning concepts and formulas effectively. Your algebra tutor will take you through each problem one step at a time so that the next time you face a similar problem, solving them on your own will be a breeze! In addition to math homework help, our algebra tutors servicing Stamford Connecticut and Fairfield and Westchester county area can help you with projects for your math class and prepare you for midterm and final tests. Most importantly, our tutors can help you really learn equations, polynomials, factoring, and other algebra basics so that you’ll be ready for the next level of mathematics. For students who need higher level math in order to do well in their prospective fields of study and future careers, this aspect is extremely important. Our algebra math subject matter experts can help you get better in Math subject. Don’t leave your success in algebra to chance. Let us help you find an algebra tutor in Stamford, CT for you. Elementary Level Pre-Algebra and Algebra Interactive Video Course, great alternative to local Tutoring in CT and perfect for homeschool kids! 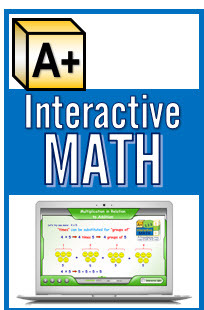 This covers pre-algebra and algebra elementary levels grades 1 through 6! Don't have money for a local algebra tutor to visit your son or daughter in Stamford CT? 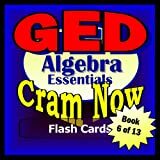 Need help in Algebra, Pre-Algebra math? Here is what we recommend to Westchester County and Fairfield County parents for their home school kids in who simply need help algebra subject, or any kids looking for algebra help. This program is very cool and very affordable that beats local and one on one tutoring prices by far! Hence if budget is an issue and you simply want to have your kids jump onto a computer and study math in a nice interactive way then this is the program for you. Note for more reasons why algebra math interactive video course is amazing for Westchester and Fairfield County Parents including residents of Stamford CT visit this link. 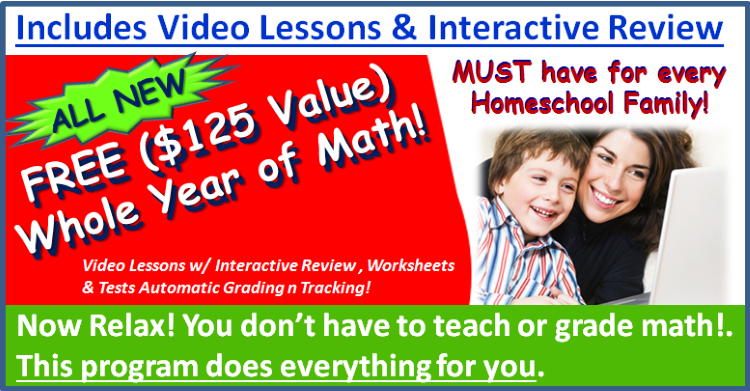 We feel that this interactive video course is an also create supplementary math video course, in addition to hybrid math local tutoring or online math algebra tutoring! What type of math tutor would you like? Traditional or Hybrid Math Tutor? The traditional tutor is the one that visits your home teaches your son or daughter math using student's school book, and tutor's book or any other supplementary resources. Hybrid Math Tutor is the type of Algebra instructor who can teach your son or daughter with a tablet PC and intercombination of mathematical tools helping the student learn math visually. Parent searches for a tutor, through our site, finds a tutor who is hybrid or contact us to help parent recruit hybrid tutor or find one on our site or network of sites. 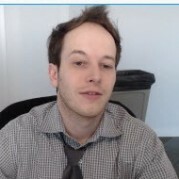 Hybrid Math tutor meets face to face on math whiteboard online for 15 mins to discuss parent's needs and agree on hybrid math tutoring hourly rate which is more money than what you would see in tutor's profile, since it does require, use of math tools that are expensive to maintain, use of tutor's personal tablet equipment, and hybrid math tutor's technical expertise in addition to math. During this pre-screen interview, a tutor can also demonstrate mathematical tools to parents to get the WOW factor from the parent and convince a parent that hybrid math tutoring is the way to go, simply because it's way better than simply relying on traditional math tutoring. During this pre-screen interview, hybrid math tutor asks student specific questions pertaining to hybrid math tutoring lesson such as please be ready to have your WIFI password available, have a proper outlet nearby etc. Hybrid Math tutor arrives with Microsoft Tablet PC directly to Stamford CT parent's home. Tutor asks a parent to connect to wifi network sets him/herself up in a comfortable setting in student's home such as kitchen table or any other location in student parent's home or any other local settings. During a lesson a student can show math homework assignments to tutor, tutor, can import them into whiteboard by taking a picture of a homework assignment and then simply starts explaining math homework by providing similar examples and asking the student to see if he/she can try similar math problems over math whiteboard. Math whiteboard is specifically created by Tutoring Services, LLC company to provide a variety of easy to use math tools for both student and tutor, ranging from calculators, graph paper, step by step solution solvers, math equation editors and much more. Math whiteboard has tons of mathematical tools that makes it easy to train student math, tutor uses Microsoft Tablet with Windows 10 capabilities or later operating the system to train student mathematics. Math Hybrid Learning lesson is much more effective using hybrid technique since student gets to see tutor use mathematical tools in real time face to face. A tutor can provide math examples directly on Microsoft Tablet and the student gets to see it. A student can also write on Microsoft Table with a pen, a tutor can hand them over surface pro pen and tablet and ask the student to show their work. Or alternatively tutor can ask student to use student's traditional pen/pencil and paper school notebook, and have student show his/her work or do an exercise in student's notebook and then tutor can take a picture of the work and upload it into whiteboard, so information is neatly stored as part of the math tutoring lesson, for student to reference back to his/her work before major algebra math final or algebra midterms test. Hybrid algebra math tutors can use intercombination of traditional math study tools (such as tutor's algebra book and students homework math worksheets and student's school book) and online math tutoring whiteboard, which is specifically created by Tutoring Services, LLC company (Facebook.com/MathTutor) to allow algebra math tutor to teach students effectively. A tutor can also ask the student to do some drill math reinforcement algebra questions directly out of math whiteboard portal. By selecting any of the questions from pre-created set of math exercises created by the hybrid tutor him/herself (during or before lesson takes place) or other hybrid math or online math tutors or by leveraging 3rd party questions which can be easily reused in any of the practice tests that tutor decides to present to student, and asking student to provide answer, which can either be in the form of multiple choice question or even handwritten input from the student! Student can even provide whiteboard handwritten explanations and justifications to the math answer provided for tutor to see if such explanation makes any sense and student can associate that explanation with the specific question, this way tutor can review not only student's answer to multiple choice or another type of math format question, but also view student's explanation and see whether or not student understood mathematical concept and needs further help! Best of all math student progress is completely tracked! Reinforcement Drill Math Algebra Questions with mandatory student's explanation, is a great way to see what is really happening here with the student during the time tutoring lesson takes place........ how comfortable student is in making mathematical progress.... is the student answering reinforcement drill math algebra questions correctly, how fast is the student answering these questions, are explanations provided by the student valid? A tutor can review math reinforcement exercises, and give star rating from 1 to 5, to how well tutor thinks the student provided an explanation to the specific question. Number of specific questions completed, how much time it took to complete each question for the student and tutor's ratings for each question student answered and provided explanation for is recorded and associated with student's profile account, tutor can email out lesson statistics to parent, where parents can see neatly organized charts showing student's progress throughout the lesson. Hybrid math tutoring lesson may also consist of nonmandatory mathematical reinforcement questions, such as math questions that simply ask the student to answer a question from multiple choice or other format match questions and see how many points was earned out of a total number of points possible for this specific set of reinforcement exercises. This acts as another indicate for how fast student is answering questions and how far the student is progressing. A tutor can assign math homework directly from our math integrated portal. At the end of the tutoring, lesson tutor can ask the student to do some drill exercises for homework directly from our math portal, such as for example tutor may ask the student to answer specifically created practice drill test for how to solve linear equations questions in math. A student can log into their profile from home and answer such math questions, and tutor can see what questions student had trouble with and address them during the lext hybrid math tutoring lesson. It provides more details about whiteboard and features and basically many other reasoning as to why you would want to hire a hybrid math tutor as oppose to simply going to any of the sites out there that has tons of math tutors with not much to offer you other than a traditionally based method of learning algebra. Sure these tutors are cheaper, but the question you should be asking yourself as the parent? Do I want a cheap tutor or do I want the best math tutor for my son or daughter? The choice is yours :) If you made your decision contact us by phone number on top right corner to help arrange for your math tutoring lesson, regardless if it's hybrid or traditional based or online, we can help you get matched with the right math algebra tutor. Why it's always a better idea to go through a Stamford CT Tutoring Services, LLC Agency rather than trying to search for algebra math tutor on your own. I am not convinced, if I should contact Tutoring Services, LLC agency to help me find algebra math tutor why not do it myself without an agency? Good question clicks link below to find out why that is. Top 5 Reasons for Westchester County Parents and Fairfield County Parents to Use our Algebra Tutoring Services, LLC as the agency to help with the match as oppose to searching for Tutor on Your Own! 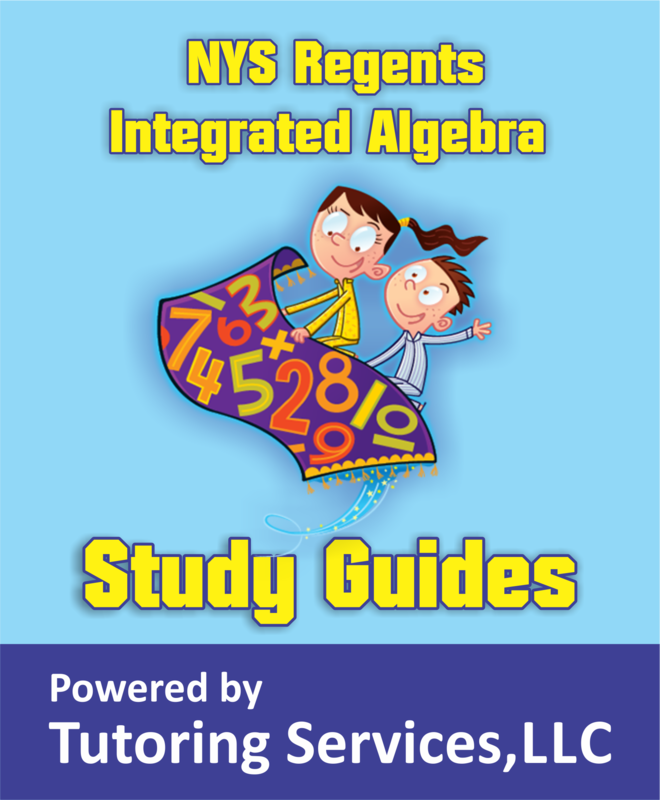 We have a variety of Mathematics Subjects Study Guides, not just in Algebra but other Math subjects. 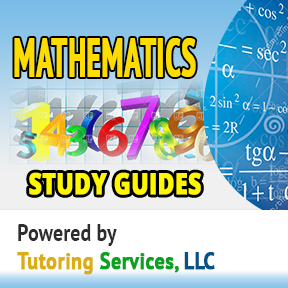 Feel Free to view a variety of Math study guides directly from this page great way to learn math without tutoring. Tutoring Services, LLC is going GREEN helping Stamford CT Algebra students save money on College Math book expenses! Algebra Math College Textbooks for Westchester County Colleges or University Students at Affordable Price! With a college algebra textbook, you can review aspects of Mathematics course that are hardest for you to grasp, from linear equations to polynomials, from basic to advance linear algebra. But what good will the math algebra book does for you if it's not affordable enough for you to buy one? We believe education should be affordable, which is why we created UsedCollegeBooks.NET website to help college students buy and sell their algebra textbook directly to or from each other at the fraction of the university or college bookstore expenses, avoiding shipping fees and middle man altogether and helping environment stay green by reusing old Algebra textbooks. The way it works you can simply register on the site free of charge and post textbook you would like to sell in either of the following universities in Fairfield County CT or Westchester County NY. Students will find your book and contact you directly, that way you can save money on expensive shipping fees or bookstore fees and help the world stay green by reusing your textbooks. Tutoring Services, LLC is all about helping save the environment. We help Math Educators and Teachers get jobs and not only help teachers get jobs but also help teachers prepare for their teaching career, by preparing them for the state teaching certification tests. We have study guides in the form of flash cards, exam secrets for various exams including but not limited to Praxis 1 and 2, NYSTCE, MTEL, CSET, FTCE, MTTC and other major tests which states require. Our study help material can help future teachers/educators get passing score on their test. Algebra Math Tutoring Jobs for Stamford CT College Students or Teachers or math subject matter experts! Looking for a tutoring job teaching Algebra in Fairfield or Westchester County visit our WestchesterTutoring.com/tutor-jobs for more info on how to apply and how to become either traditional local math algebra tutor, hybrid math algebra tutor or online. make sure you apply within enrollment date period, else there is no guarantee that we will respond back to you if you are not within enrollment date period. Other Kewl Algebra Math Links! View our Algebra tutors near Stamford CT below. See which one you like, then contact us either from the phone number at the right top corner or from the bottom right chat window. The Integrated Algebra Regents exam is administered in January, June and August of every school year. Most students will take this exam after successfully completing their first year of study of high school-level mathematics. 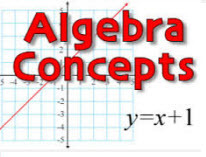 The Core Curriculum for Integrated Algebra includes most of the topics previously included in Math A except for some aspects of geometry, locus, geometric constructions, and combinations. Integrated Algebra also includes an introduction to sets, functions, lines of best fit, and exponential growth and decay. Make sure you know the topics on this exam, exam has the following format. Part I consists of 30 standard multiple-choice questions with four possible answers. There is no penalty for guessing. This section has a total of 60 points. Parts II, III, and IV each contain three questions. The answers and the accompanying work for the questions in these three parts must be written directly in the question booklet. You must show or explain how you arrived at your answer by indicating the necessary steps involved, including appropriate formula substitutions, diagrams, graphs, charts and so forth. If you use a guess-and-check strategy to arrive at an answer for a problem, you must indicate your method and show the work for at least three guesses. All integrated algebra questions in each of the four parts of the test must be answered. Graphing calculators are required for the Integrated Algebra Regents examination. During the administration of the Regents exam, schools are required to make a graphing calculator available for the exclusive use of each student. Students will need to use graphing calculator to work with trig functions of angles, evaluate roots, and perform routine calculations. Knowing how to use a graphing calculator gives you an advantage when deciding how to solve a problem. Rather than solving a problem algebraically with pen and paper, it may be easier to solve the same problem using a graph or table created by a graphing calculator. A graphical or numerical solution using a calculator can also be used to help confirm an answer obtained using standard algebraic methods. How to study for Integrated Algebra NYS Regents exam? To make it easier for NY students and parents, Tutoring Services, LLC compiled collection and variety of methods to prepare for New York State Regiions exam. 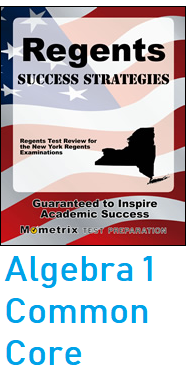 Continue reading and view  algebra resources,  tutors, exam info and study guides for your NYS Regents Integrated Algebra exam. Prepare with confidence ensure that you, leverage your calculator skills to derive solution and check back your algebraic solution. Our Tutors in State of NY can help you learn mathematics tricks to help you pepare for this exam. HOW CAN I IMPROVE MY Chances of passing this NYS Regents Integrated Algebra exam? We have local and online tutors who can help you prepare for your NYS Regents exam, and not only in algebra but other Regents exams as well. View our resources below to get help, also. 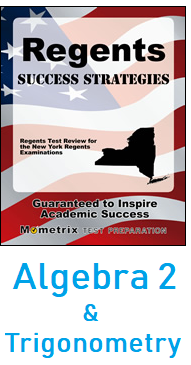 Everything you see on this site neatly organized, has been placed together for students preparing for NYS Integrated Algebra Regents by Tutoring Services, LLC. If you are looking for online tutor to help you prepare for Algebra and help you learn these linear equations that you alwasy been struggling with but can't afford online tutor don't hesitate to visit our online tutoring site where you can find online algebra tutor to help you paper for your exam. Click below. We have noticed that many topics on this exam are highly relevant to NYS Regents exam, check this course above and increase your chances of preparing for this exam, it's much moer affordable then private tutor, and covers lots of topics that are also on exam. You can compare tutors side by side, view their tutoring profiles, and  have peace of mind when selecting tutor to help you for NY State Regents Exam, site offers match making services for local parets in Westchester County NY. 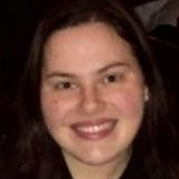 Tutors who register on our callmytutor.com site are managed by tutoring agency and work as independent contractors benefiting from being advertised on multiple local tutoring sites, resulting in many Regents Integrated Algebra tutors offering more affordable hourly rates for students in Westchester County NY. Students can also buy tutoring discount packages from tutors and save money on educational expenses. Site provides great selection of tutors to chose from, view pricing and educational qualifications of tutors. Majority of tutors are either certified math teachers or subject matter experts. No need to be locked down to a single tutor, chose from multiple. If you can't find your tutor on that site or on the budget and do not want to pay any tutoring comission agencies fees, you can visit the site below, site below has independent math tutors who can help students with integrated algebra. Our sister www.TutoringServices.com site does not charge tutors any fee to register and has a lot of tutors in the area advertising their tutoring services as independent tutors. Since tutors are not managed by the agency, that does not necessarialy means that price is higher, it just means that parents do not get personalized match. In some cases independent tutor hourly rates can be higher then agency tutors. Parents can contact tutors on this site free of charge, or pay $15 for first tutoring session trial in order to get personal contact information from the tutor and have tutor come to student's home. Another helpful resources for NYS Regents Test Preparation students  is this site below. This is our homework help blog site that has lots of usefull resources for students looking to prepare for Algebra. Click on this link algebra homework help blog site. You can also visit our facebook.com/MathTutor page to view other usefull algebra resources. Want to provide help for students of NY? Want to make extra part time income? Want to prepare for your teaching certfication exam and increase your chances of passing your NYSTCE exam? View our NYSTCE study guides for NY State test. Click image below to view study guides. Want to make part time income tutoring students Regents in the state of NY and live in Westchester County? Mathematics has various disciplines, operations and numerical functions. It is a broad subject with more studies that are quite complex because some involve following certain steps and procedures and dealing with the complexities of the subject if done alone. What can you do to help you deal with your subject concerns? One of the best sources of Math subject help is a private teacher in Connecticut. A private teacher in Connecticut has the highest level of qualification to offer effective tutoring services and Mathematics subject assistance for all student levels from middle school to college. A private teacher in Connecticut can help you develop good study habits and techniques while helping you make the most out of your classroom lectures and notes. It has been proven that private tutoring can help boost greater productivity with studying compared to self-studying using resources such as informative websites and books. What makes hiring a private teacher in Connecticut a practical form of Mathematics subject assistance? Mathematics subject assistance is more practical because you get the benefit that is worth every dollar you pay. Mathematics subject assistance from a private teacher is assured to be very effective and informative because they have the knowledge and expertise with the subject sourced from their education and years of practice. And if you have a stable internet connection and a PC at home, you can also avail of our online tutoring service. Learn more about how you can find a good private teacher in Connecticut to give you quality Mathematics subject assistance in Connecticut today. Call us at (203) 340-0391 or email us at info@callmytutor.com. Algebrator is the new powerful software for math education that solves algebra problems from Early algebra to Advanced College levels. Developed by SOFTMATH, the leading software    program available in education today. Algebrator solves algebra problems from all course books. It  shows you step-by-step answers to the most difficult math  equations, math answers , assisting students at every level. You simply download the software onto your P.C. and use for  as long as you like, there is no need to subscribe or renew. What you should know about CLEP College Algebra Exam Secret? Well, so many test taking techniques will spread in front of your eyes that surely stay in your mind. You will exactly get the benefits as you engage this best prep tool and you will be more confident to face the College Level Examination Program. Pass the CLEP College Algebra exam and get the college credits for Algebra subject and save money for your college course. Be comfortable in your preparation and enjoy this moment so that your assessment will be meaningful and the idea on how to pass the exam will be your weapon to excel it with self-esteem. So get a copy of this CLEP College Algebra Exam Secret now!